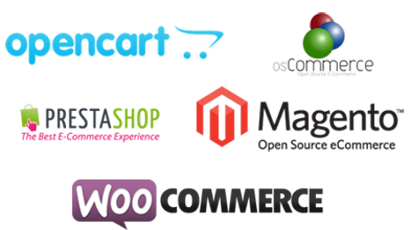 With our many years of experience in e-commerce development, we serve businesses that need complex e-commerce websites with a large product stock (10,000 – 100,000) and budget over €50,000. Magento, PrestaShop, OpenCart and others. With the collection of data, we help you turn raw figures, such as the number of visitors, SKUs, conversions, etc, into strategic insights. Custom dashboards with segmented data and visual reports will let you see what customers truly want. Reports are exportable and can be easily shared across departments. Our e-commerce websites has flexible shipping options built-in from international carriers like FedEx, UPS, USPS to local carriers like BPost and BubblePost. You can offer free shipping for particular items or price ranges or choose flexible shipping rates.